Ever felt your bass recordings needed that extra drive, lowend or grit to sit nicely in your mix and surprise your listeners? Well, you're going to like this! Instantly correct pitch incorrections on vocals or other melodic parts. Play percussive instruments with your fingers thanks to the on-screen drum controller. There's an acoustic view and an electronic one. 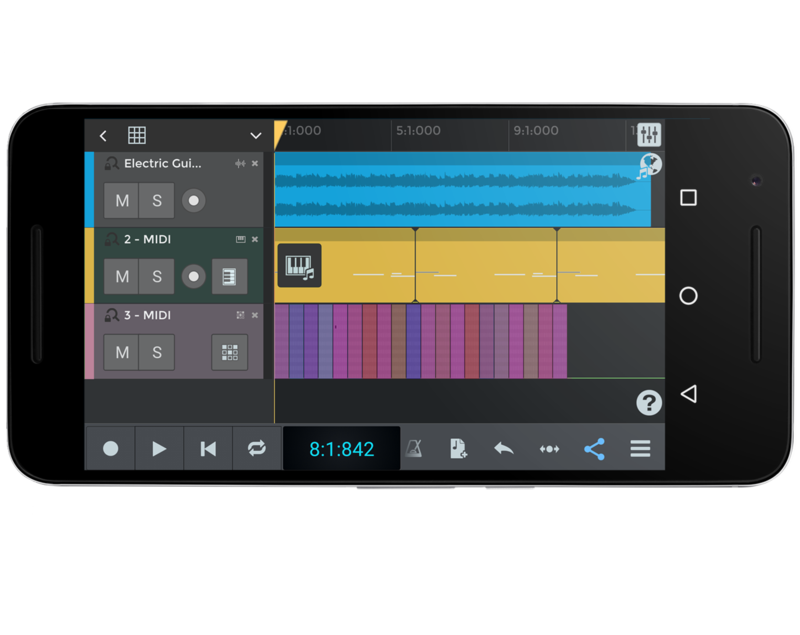 n-Track Studio for Android is an audio and MIDI multitrack recorder that turns your device into a full-fledged recording studio.